Welcome back Indy Reds after “didn’t go as planned” Derby Weekend to another edition of the Indy Red Fan Focus. How did you pick Liverpool as your team? January 2002 I took a class in college that toured Ireland, Wales, Scotland and England. One of my buddies on the trip was talking soccer and how he follows Man United. I played rec soccer while I was growing up and really enjoyed it. I didn’t make a travel team right before high school, so I decided not try out for the high school team. I did a little research in internet cafés and started reading everything I could about Liverpool. I think it was mostly because they were Man U’s rival and I wanted to stick it to my friend and their shirt sponsor was Carlsberg and we had been drinking mass quantities of Carlsberg on the trip. Also, on that trip, we made a side stop in Liverpool (wasn’t planned). I got to walk the city center, saw the sights, bought the away shirt, and fell in love with the city. I really suggest a visit for anyone, not just LFC fans. The cathedrals are amazing. Since then, I’ve been hooked on Liverpool and US National Team. First LFC memory? On that same trip we were staying in Notting Hill and my buddy and I watched LFC vs MUFC in a tiny pub near our hotel. It was packed with fans of both teams. LFC won that night at Old Trafford 1-0, courtesy of a Danny Murphy goal. Favorite LFC memory? While I will always cherish Istanbul, to be different, I’ll choose January – April 26, 2014. It was so much fun. Do you have any superstitions or traditions you do/have for each match? Not really, last season was the first time I was really able to watch games. I have two young boys, 3 and 3.5 months at home. The 3 year old will be up by 7:30 so I’ll take the boys and go downstairs so my wife can get some more sleep. The 3 year old will watch a kids movie, and I’ll stream the game on the iPad, drink some coffee and try not to get too worked up. I guess that’s a tradition. A weird superstition. I won’t buy player jerseys anymore as they either get hurt or transfer. I was over the moon when LFC signed Harry Kewell. I got a Kewell jersey and he rarely played due to injury. Where were you during Istanbul? I was at work, following along on Sky Sports tracker. I got so pissed at halftime, I turned the browser off and finished work. It wasn’t until later that I found out about the dramatic comeback and victory. I think I had it DVRed, but not certain. Favorite Current Player and Why? It’s really hard not to go with Stevie G, isn’t it? I remember how it was the end of the world when he was going to leave for Chelsea. But I’ve been a fan for most of his career, he stayed, and I’ll always be a fan. If you could meet or have dinner with any LFC player/manager ever who it would it be & why? This is tough. Obviously being such a huge fan of Stevie he’d be close to top of the list. From the stories, Fowler and McMannaman would show you a good time and be a laugh. But I really think I’d choose Carragher. He would have stories upon stories and have a good laugh. Favorite LFC kit ever? The first “new” Adidas kits. Carlsberg was still the sponsor, they were simple (home kits). Plus, I was so happy that they got rid of Reebok because now we might finally be able to get more Liverpool stuff in Eurosport! You are Owner of Liverpool for 1 day what do you do? I would end the Warrior contract and get a deal with Nike or Adidas. I might even fire the people who picked the away kits last year. The rest of the day I’d go to training and watch from a distance, have lunch with the players. Where do you go to get your LFC news/info? I use to go to Football365.com and Sky Sports.com. But lately I’ve been getting most of my information from Twitter and podcasts. I really like the Liverpool Echo LFC, @livEchoLFC and @MostarLFC has great vids. The podcasts I listen to are UFL Podcast (there you go Gabe), The Anfield Index, LFC DayTrippers, and The Anfield Wrap. I also listen to Men in Blazers, but not for news. 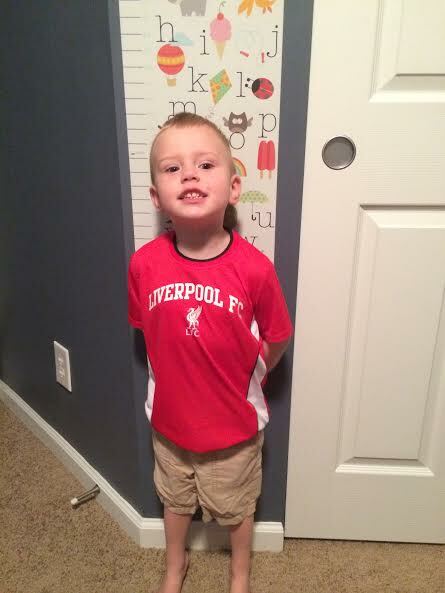 LFC have just won the league, where are you going for a celebration dinner in Indy Area?I’d probably be running around the house screaming, my 3 year old would join in because it looks like fun. 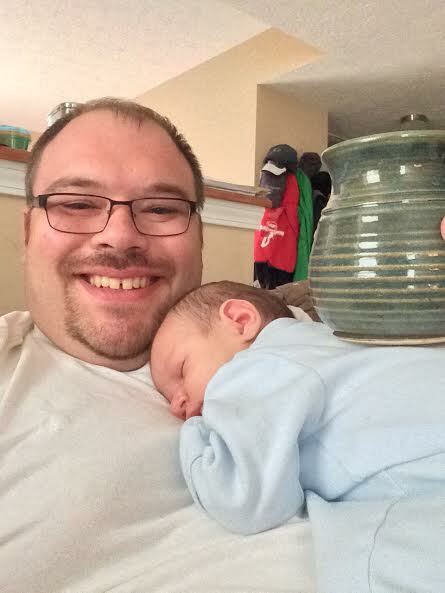 The baby is probably crying because he’s scared and my wife is livid because of all the aforementioned behaviors. Therefore, I’d probably be eating in the doghouse that night. On the other hand, I might make an exception and go celebrate at Union Jack’s with LFC Indy. Newest Signing or Young Player you are looking forward to seeing this year play? Balotelli hands down. When Suarez left, we needed a striker and his name started swirling. I remembered how good he looked at Euro 2012 and thought he needed a chance. I love the fact that he can take some of the attention off of the new SAS, freeing them up. Favorite LFC Goal? I can’t decide. Alonso chip from midfield was top for a long time. I also love it when Stevie would send in a screamer. But Suarez’s third against Norwich last year. It get’s over shadowed by the chip (which was a spectacular goal), but I still think it’s a better goal. Have you ever seen LFC play in person? No. I wanted to go to Chicago this last summer, but with a new baby, it wasn’t in the cards. I saw Scott Carson at a US England friendly in Chicago right after Istanbul. We had corner seats by the tunnel, I yelled his name and he seemed surprised. What other sports do you follow or hobbies do you have? I’m a big fan of Notre Dame football, the Colts, and IU basketball. I’m also a member of The American Outlaws. I follow along on Twitter for the Indy Eleven games. We’ve talked about getting to a game, but not sure if it will work out this year. As far as hobbies, I love to travel and see different places. Also, I like to do stadium tours. My sister lives in Germany and once while visiting, we went to Allianz Arena in Munich. It’s a really neat place if you ever make it there. Side Bar Story: My dad was performing a training class in Manchester. He was telling me his itinerary and it included a stadium tour of Old Trafford. I played along and did the whole, “I can’t believe you’re going to that dump”, etc. But I also admitted it’d be a neat place to see (I did mention that I’m a fan of stadium tours). 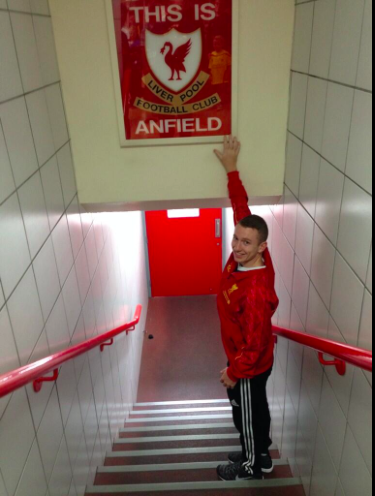 He talked the guys into going to Anfield instead, took a bunch of pictures and got me a few items. Not having the slightest clue about LFC, he didn’t know what he should have taken pictures of, but it’s the thought that counts. Best Local Indy Area Beer to have during an LFC match? It would depend on if they had Bier Brewery on tap. I just did Brew Bus last week and both the Mild Brown and Dark Brown are great beers. If not, I’d go for Wee Mac. I know they aren’t Indy area, but 3 Floyds Gumballhead would pair nicely with a footy match. It’s a fantastic beer . What makes you most proud to support LFC? YNWA. I get chills every time I hear it sung. The meaning of it is still true. Also, I love the fact that former players still talk of their love for Liverpool and the fans. I don’t think you get that when this generation of Chelsea or Man City players? Maybe Kompany, but I think he married a City fan, so he kind of has to. Best thing about being an Indy Red? I like that I feel included even though I haven’t been able to make it to Union Jacks to watch with everyone. I’ll be there on Saturday for the first time, and I’m excited. Also, thanks to Nile for organizing LFC Indy. I remember looking for a local chapter a few years ago and not finding anything. 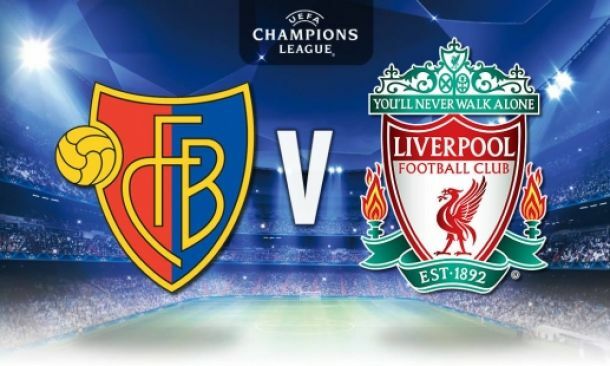 LFC are in Switzerland to take on FC Basel tonight in another Champions League group stage match. Starts at 2:30pm. Match will be live on Fox Sports 2. LFC will look to bounce back after that last minute heartbreaking draw in the Derby v Everton and look to improve on their last time out in the Champions League when they had to go to extra time with Ludogrets. A big away win would help the Redmen to boost their confidence and hopefully springboard them a little in the Premier League campaign and group stage of the Champions League. If you are able to get out of work or school early head over to Union Jack Pub for the match. Always a great way to spend the afternoon at Indy Anfield with a pint and a late lunch/early dinner. 9am match this Saturday v West Brom. Get those plans sorted to get out to UJ’s for some brunch and Poetry In Motion. Now that it is October this is the month that LFC will be reviewing our Application to become an Official Supporters Club. Keep those Prayers, Good thoughts & Vibes coming. It is also the time that I(Nile) will need to be slowing down some on the posting and updating with the Baby Boy coming next month. If you want or are willing to help out with the blog or Twitter or Facebook, email or message us so we can keep this ship sailing and continue to grow the support and awareness here in Indy Area. We might be struggling a little this early part of the year but this is when a fans true love of the club is tested and you can help us keep growing here in the Circle City. This entry was posted in Indy Red Fan Focus, Uncategorized and tagged Champions League, Fan Focus, Indianapolis, Indy, Indy Reds, LFC, Liverpool, YNWA on October 1, 2014 by LFCIndy. 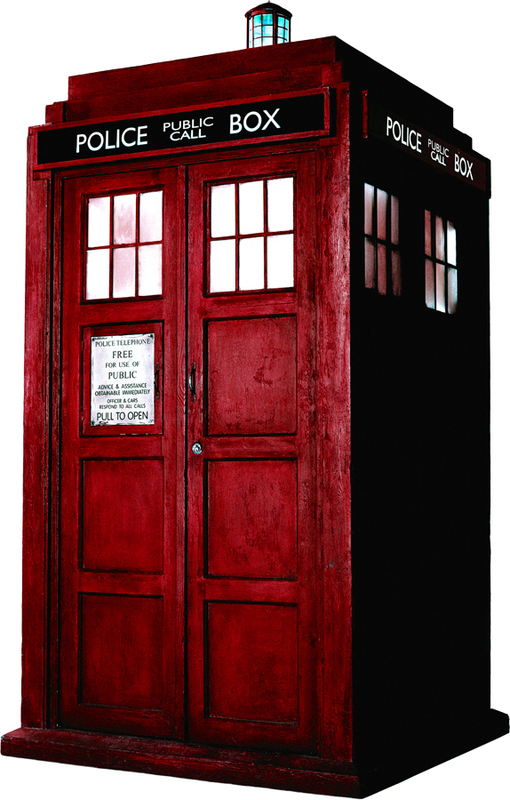 Red Tardis. European Nights are Back! This comes from one of our Indy Reds who has been featured on the Fan Focus: Bryan Smith. I’ll let him take it away and explain a little of what this series will be. I’m a big fan of it and I think you Indy Reds will love it too. 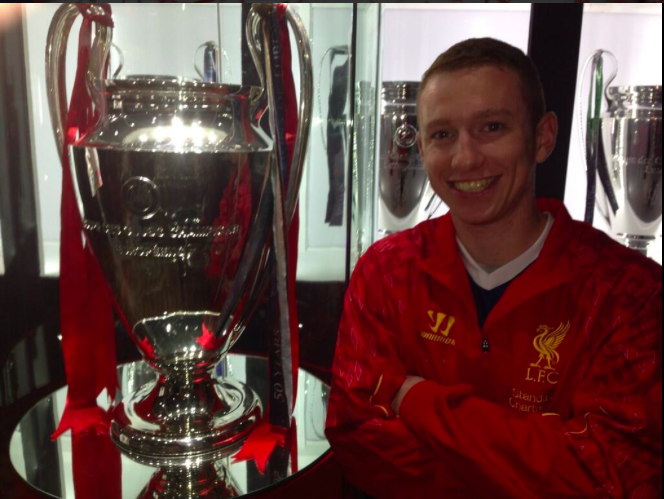 A big thank you to Nile for allowing me to post on the LFC Indy blog. The idea is this – a regular look at the past and present of the club we all love, but with a twist. One can find thousands of clips of famous goals, iconic images, or articles about a club as rich in history as Liverpool, but I want to go deeper than that, and have a little fun celebrating what it’s like to be an Indy Red. So where to begin? No idea for exploring this magnificent football club could begin anywhere but in Istanbul, Turkey. 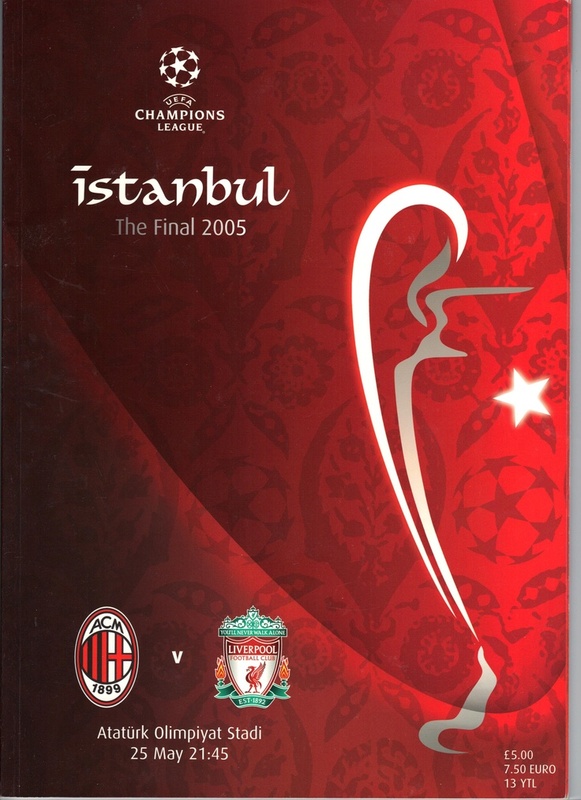 The Ataturk Stadium, Champions League Final, 2005. Thousands of pieces of media about this match exist, but this one is unique. A fan was shooting video from his seat in the Liverpool end for what must have been the entire match. He or she (I believe it to be a he – the guy turns the camera onto himself and screams after Xabi Alonzo’s famous equalizer) edits together all the good bits and puts YOU and I into his seat in the Liverpool end that night. So then… “Istanbul – A New Perspective”. The video is shot in about 200p (if there is such a thing) and is far from High Definition, but the passion shown by the supporters in the Liverpool end on this vid cannot be measured with words or numbers, you just have to climb into this guy’s seat for a few minutes and watch. Pretty awesome right?! 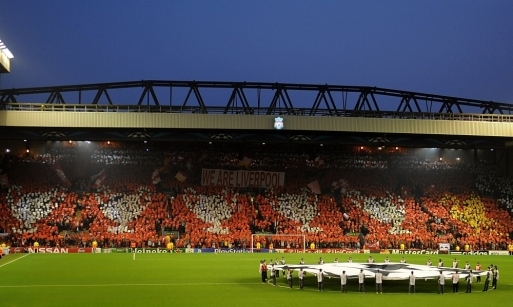 Very cool to see what it was like on that magical night in the crowd with fellow Reds. If you enjoyed this post Bryan has a few more that we will be posting. Comment on what you think. 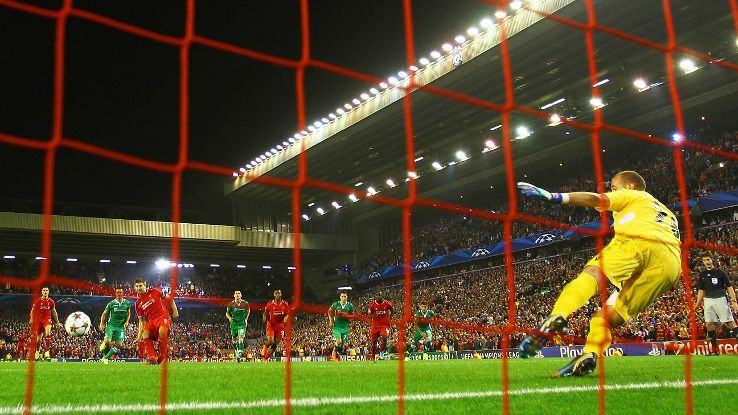 As you know LFC for the 1st time in 5 years is back in the Champions League and wow what a night it was! Your Redmen couldn’t seem to find the net in the 1st half v scrappy little Ludogrets. 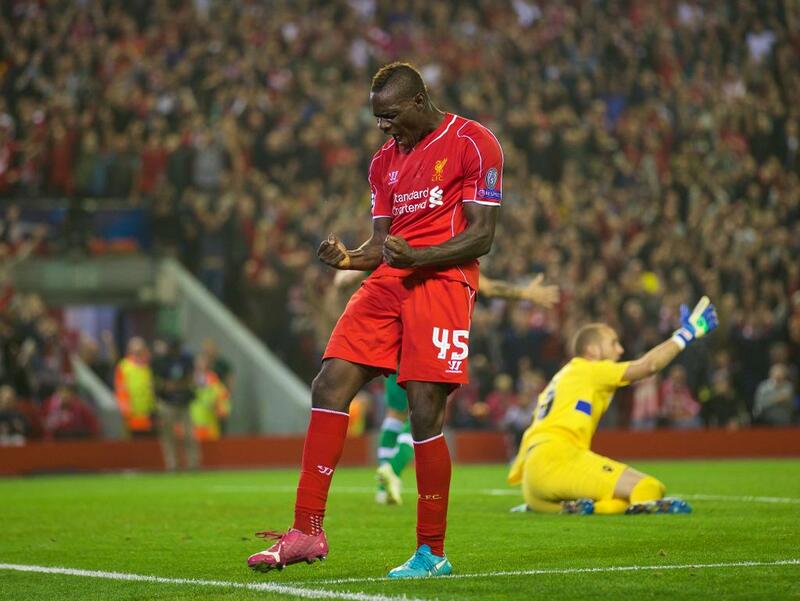 Then in the 2nd half Mario Magnifico finally put the Reds in front in the 82nd minute. He did an great job of fighting off two defenders in the box to punch it past the keeper. But this wouldn’t be a LFC match without some drama though right? Ludogrets would come back to score as the clock hit 90:00. Everyone I’m sure was shocked and not to pleased that we would be drawing v this tiny Bulgarian team that has only existed since 2001. As we rolled into stoppage time new signing Javi Manquillo put some pressure on Ludogrets GK who missed played a ball back to him and ended up fouling Manquillo in the box for a Penalty in the dying seconds of the match. Up stepped who else: The One, The Only, Your Captain Fantastic, Stevie G.
…And you know what happens when #8 steps up to the penalty spot. Stevie G comes up with another game winner/heroics. We truly are extremely lucky to be living during a time when we are able to see this guy play. Well for sure a nerve wrecking night for our 1st European Night in a while. Looked like we missed Sturridge some. But hey it is a win and glad they came back in the dying seconds to get the W.
Nope no recap of the Villa match. It wasn’t pleasant to watch, played terrible didn’t get the win. Still early in the season so still gelling together and new faces still adopting the BR philosophy. Thanks to all of the Indy Reds who came out to Union Jack over the weekend and yesterday for the Match. It was also good to see a lot of you at the Indy Eleven match. Another late start this weekend for your Redmen 12:30pm again. Make sure to go hit up Indy Anfield Union Jack and get some tasty beer and tasty lunch before or after the Match while you are there. This entry was posted in Red Tardis and tagged Champions League, Gerrard, Indianapolis, Indy, Indy Reds, LFC, Liverpool, Steven Gerrard, Stevie G, The Kop, UCL, YNWA on September 17, 2014 by LFCIndy. Time to kick off another action packed weekend with a new Indy Red Fan Focus. In honor of most Universities & Colleges starting here recently we will feature one of our Indy Reds who is heading off to school. He is pretty active on Twitter & you can even see some of his writing on some LFC fan sites too. How did you pick Liverpool as your team? When I first fell in love with soccer, I vowed to not become a fan of a specific team. I found no point in following a team from across the world. But, that came to an end very quickly when I travelled to Baltimore with my friend to watch Liverpool play Spurs. To be honest, I think the thing that attracted me to Liverpool Football Club was the fans before anything. I then very quickly and obviously fell in love with the history and players. I also was attracted to the fact that the team was somewhat of an underdog team, and not a high spending rich Manchester City esque team. First LFC memory? My first LFC memory would probably be winning the League Cup in 11/12. This was around the time when I started watching Liverpool. Favorite LFC memory? Because I haven’t been a fan for the longest time, I have a pretty short history with the club. With that being said, my favorite memory has to be our run in the league last campaign. Coming so close to a title when you are written off by everyone is something that truly feels magical. Do you have any superstitions or traditions you do/have for each match? I always spend the night at my best friends house, and wake up early to watch the game with him and another friend. He was much like I was. He was a fan of the sport. It did not take him long to fall in love with the club. He even travelled to Chicago this year with me for the ICC match. Where were you during Istanbul? Well I had just turned 10, so I would presume I was riding around on a new bike I got for my birthday. Favorite Current Player and Why? Raheem Sterling. Sterling in my opinion has it all; pace, touch, finesse, good decision making, and he’s tough. Add those attributes to the fact that he is my age makes him one of footballs most exciting players. If you could meet or have dinner with any LFC player/manager ever who it would it be & why? I think it would have to be Bill Shankly. I have read many books about Shankly and I am always taken back by how hospitable he was. He would openly invite fans into his home for coffee and a nice chat. 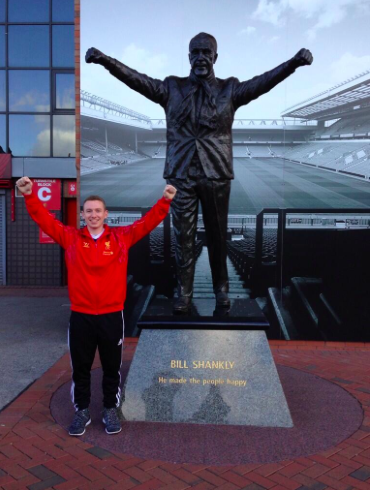 He was a man of character and can be a role model for generations of Liverpool fans and Soccer fans alike. Favorite LFC kit ever? The year I was born!! I really like the 1995/96 away kits. With that being said, any of the classic red kits are just as high up there on the list. Seeing the iconic red kits makes me happy every time! You are Owner of Liverpool for 1 day what do you do? I grant members of LFCIndy full access to anything in the team. Basically we would have the same privileges as someone who was best friends with our owners. Where do you go to get your LFC news/info? All on twitter and Google News. LFC have just won the league, where are you going for a celebration dinner in Indy Area? Well since I’m not 21 the Union Jacks situation can get tricky with times, but I’d have to say a dinner at my home with my family and friends who all follow LFC. Emre Can. In my opinion Emre is a modern day defensive minded box to box midfielder who likes to get forward. He reminds me of an un-polished young Yaya Toure. This type of player is almost a necessity in the modern game and Liverpool will love his physical presence in the middle of the field. Have you ever seen LFC play in person? I have been lucky enough to see Liverpool play twice. I saw them in their two most recent USA summer tours. I saw them play Spurs in Baltimore and Olympiacos. I was also lucky enough to have seen them train at Melwood this summer. What other sports do you follow or hobbies do you have? I am a pretty big Pacer fan, but honestly nothing matters to me besides Liverpool. Best Local Indy Area Beer to have during an LFC match? Well the only Beer I can legally have is while in Liverpool, so no Indy area places work for me. I did have a really good pear beer while in Liverpool One this summer though. What makes you most proud to support LFC? I have so many things running through my head, I do not even know what to say. I truly find it hard to answer this question because of how many reasons I love this club. The fans, the players, the staff, the history, the values, what is there that this clubs doesn’t have to offer? Best thing about being an Indy Red? I am a Hoosier, and a Red, what combination is better than that? As I’m sure you’ve seen by now, Thursday was the Champions League Draw. Liverpool made out pretty good in the draw. 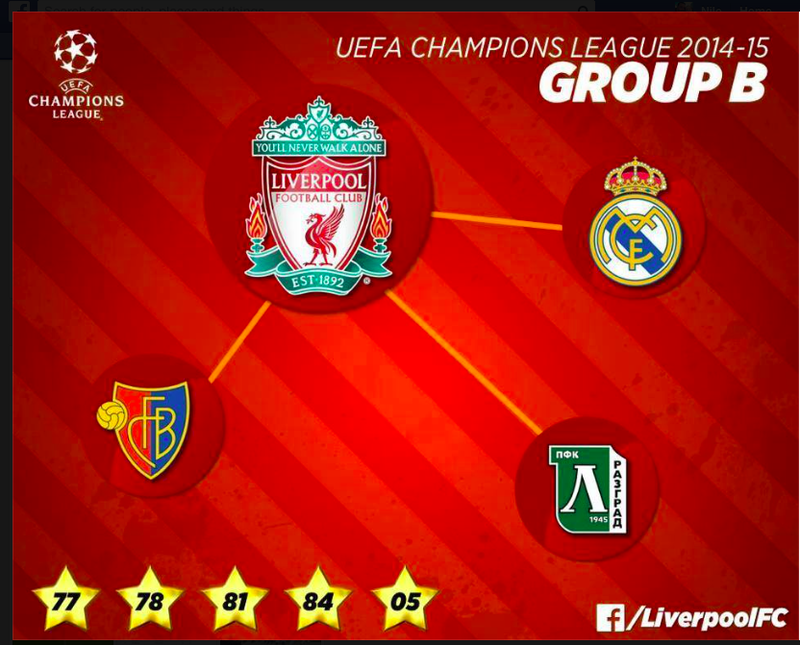 LFC, Real Madrid, FC Basel & Ludogorets came up in group B. Obviously the big time match is going to be LFC v Real. Should be some incredible scenes at Anfield and The Bernabeau. Quick history lesson LFC are 3-0 all time v Real Madrid. One of those wins was to win the European Cup and the most recent win was a 4-0 drubbing of them at Anfield. LFC should feel confident about getting out of this group and gaining some big confidence heading into the knockout stages. Here is the dates for the matches. You’ve heard of big time European Nights, get ready for Big Time European Afternoons at Union Jack!! It is great to have Champions League action back!! Not going to review the City match, you all watched it. It wasn’t pleasant. Only second match of the year and without Lallana & Mario v defending champs. It will all be ok. This Sunday we take on Spurs away. 8:30am Kickoff. Indy Eleven play Saturday night so keep that energy & excitement going for the next morning and get out to Union Jack Pub for the match. Get those 3 points. Should see new signing Balotelli in action this weekend. Possibly Lallana too. Lazar was fun to watch v City when he came off the bench. Have a great weekend Indy Reds. This entry was posted in Indy Red Fan Focus and tagged Champions League, Fan Focus, Indianapolis, Indy, Indy Reds, LFC, Liverpool, UCL, YNWA on August 28, 2014 by LFCIndy.